“Daddy and the Dogwood Tree” mosaic art. smalti on standstone. about 14 in. 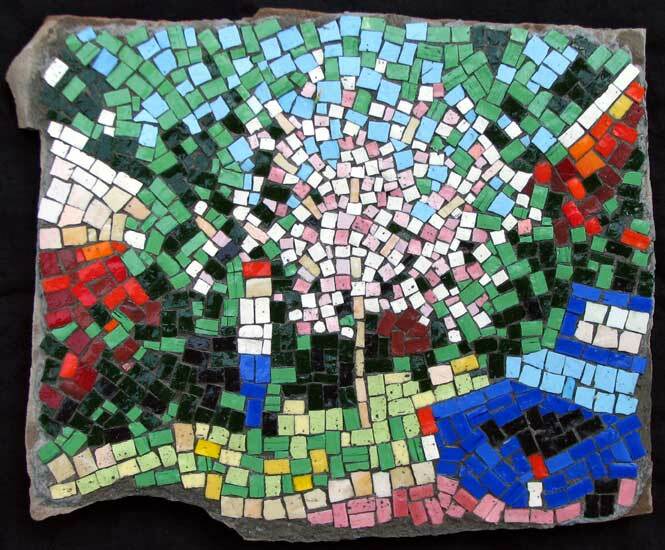 Why is original mosaic art underrepresented in the US compared to many other countries? The best place to buy many different colors of glass mosaic tile at competitive prices.